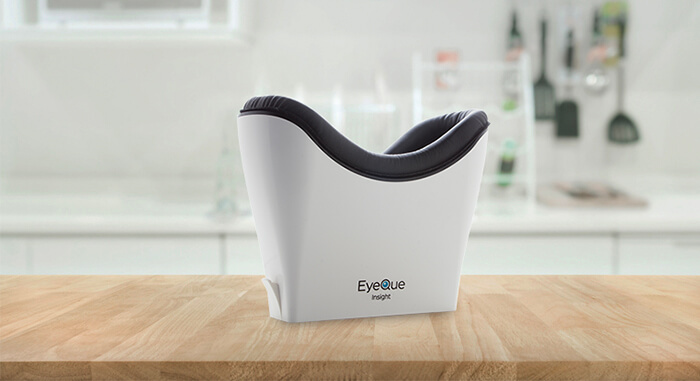 Partner with EyeQue to make clear vision a reality around the world. We are eager to arm the eye care community with low cost, convenient, and fun ways for your patients to become more participatory in their own eye health. Expand your practice and improve your relationship with patients by embracing leading-edge technology. Attract more patients and create loyalty by being the coolest doc on the block. Transform the annual visit to an ongoing conversation with regular at-home monitoring, alerts and notifications. Improve patient outcomes and monitor prescription stability in at-risk patients. Our online platform connects people to local eye care professionals. Become part of the EyeQue network to expand your practice organically. Eye care and eyeglasses will be top of mind when your patients are screening for changes at home. Now there’s an economical, mobile way to test patients outside of the office, such as nursing homes, schools and community centers. Transform the annual visit to an ongoing conversation with alerts, notifications, and emails. Provide at-risk patients with at-home tools to take frequent refractive and visual acuity screenings. Learn more about who we are and what we're up to.